The bowl on the left contains one cup of flour that was measured, sifted, and spooned into the measuring cup. I scraped the excess flour off with the back of a knife. 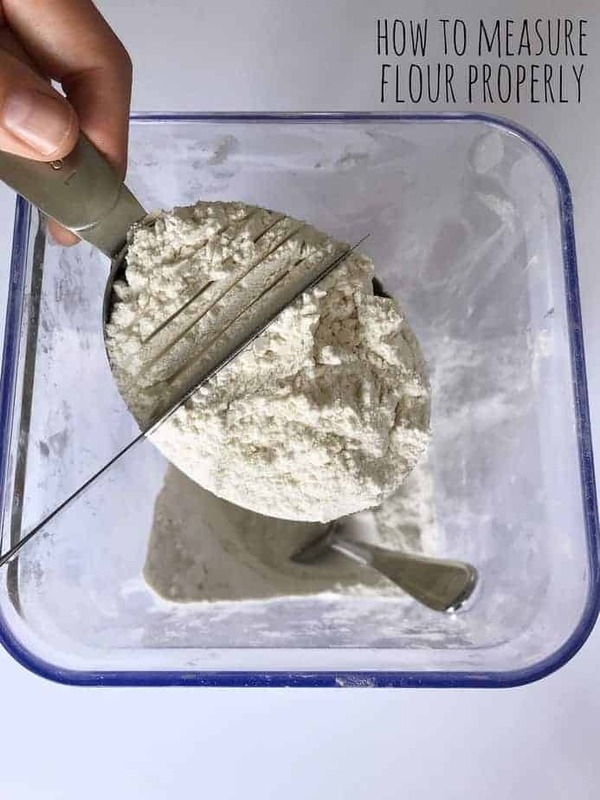 Sifting your flour before spooning it into your measuring cup will give you the most accurate measurement of flour (besides simply just weighing it). This one weighs 120 grams, which according to the flour bag is the correct weight for 1 cup of flour. The center bowl contains 130 grams of flour. This is my shortcut method and is actually how I measure all the flour for my baked goods. While this method is not the most correct, I still consider it “proper.” But you will notice that with this method you are still getting 8% more flour (almost an extra tablespoon!). The bowl on the right contains 176 grams. With this bowl, I simply dipped my measuring cup into the flour container and scooped it out. I leveled the cup off by scraping it up the side of the flour container. With this method you are getting over 46% more flour! Wow! I sure didn’t realize that sifting would make such s huge difference! Thank you for this information! I didn’t know this and I’ve wondered why my breads are weird….too much flour! Thanks for this very clear instruction.